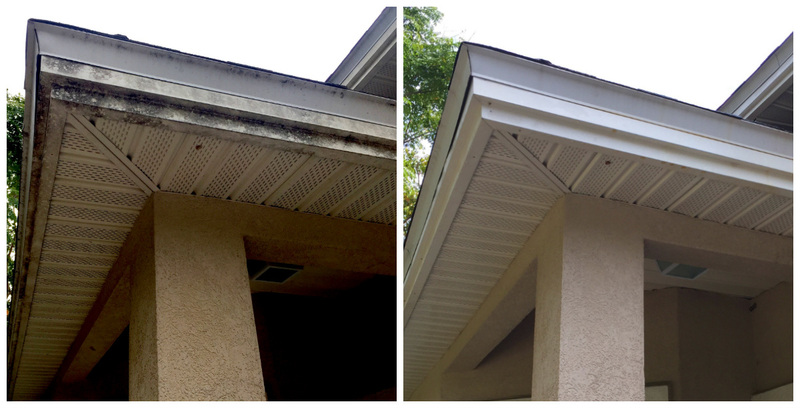 Our low-pressure softwash chemical solution will clean your stucco 100 times better than using plain water alone. 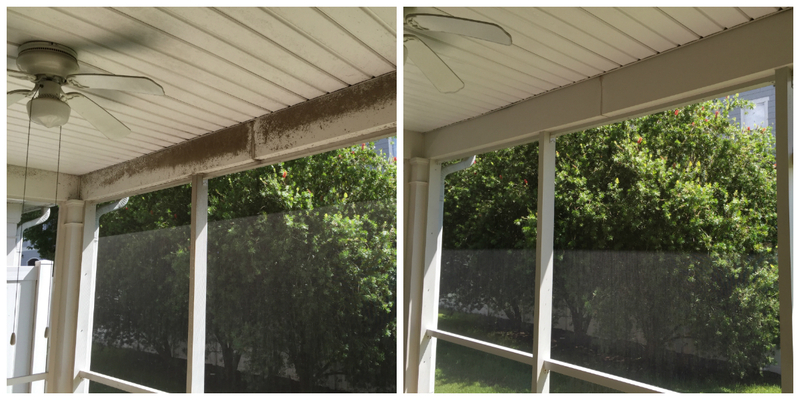 Although economical while still maintaining visual appeal vinyl siding mold growth is more accelerated due to its design. Often times a single strip of siding will run horizontally the entire length across an elevation. The cost savings design eliminates the requirements for control joints/reveals/or visual breaks making it much easier for the mold to travel faster since there are no obstructions along its path. Morning dew and rain generated by mother nature simply carry the mold down the face of your siding panels and before you know it the whole house is covered in mold. Common coquina is a very soft exterior finish that has been used in construction for over 400 years. In addition coquina can be very appealing, but it shows dirt and mold from a mile away. This stuff is extra brittle and can be damaged by simply spraying it with your garden hose. Due to its nature coquina is very pourous and the mold grows very deep into its finish. This type of exterior finish requires utilization of diaphragm pumps to carry stronger chemical concentrates in order to adequately clean them. 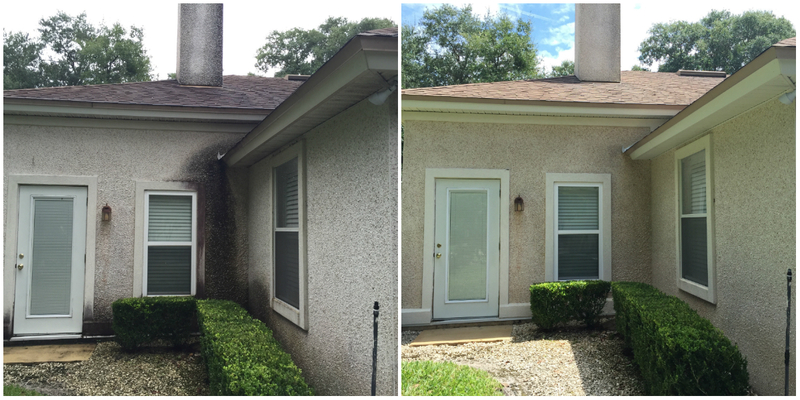 Always remember to ask your professional pressure washing contractor if they have cleaned coquina before and do not hesitate to ask them to send you some before and after pics of jobs they have cleaned in the past.